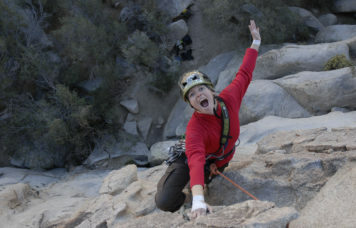 We conduct our rock climbing courses in the Eastern Sierra during the spring, summer, and fall months. We also conduct courses in the Alabama Hills during the fall, winter, and spring. 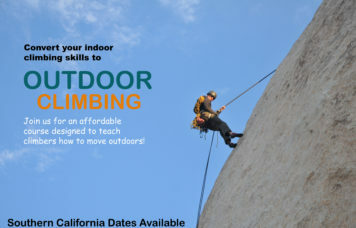 In addition we also offer beginning classes at popular Southern California climbing areas. The Eastern Sierra is world famous for offering some of the finest rock climbing found anywhere. There are climbing areas for all ability levels and preferences. The Alabama Hills is located in Lone Pine at the foot of the Eastern Sierra. This is a great place to rock climb during all but the summer months. 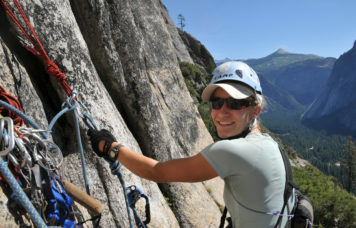 We offer courses in all facets of rock climbing from beginning through advanced levels. Listed here are some of our standard offerings. Custom courses can be designed for anyone as well. Contact our office for more information or to sign up for a course.